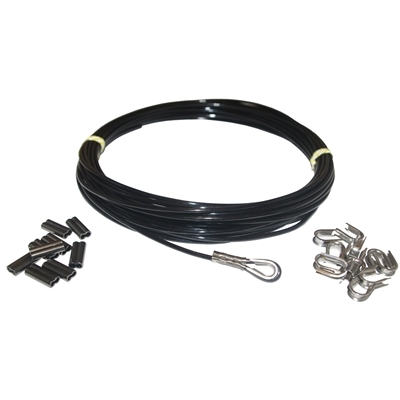 Spearit Monofilament Speargun Line Kits include 100 feet of premium black monofilament, 10 double crimping sleeves and 10 stainless steel thimbles. Everything you need to make (5) 20 foot line rigs. 250lb Kit 1.6mm x 100ft(90m) (10) 1.8mm 10 pcs. 300lb Kit 1.8mm x 100ft(90m) (10) 2.0mm 10 pcs. 400lb Kit 2.0mm x 100ft(90m) (10) 2.2mm 10 pcs. 500lb Kit 2.3mm x 100ft(90m) (10) 2.5mm 10 pcs.